Statistics show that mobile users employ “near me” searches not only to find places, but also to buy specific products. It means that whether you own a small Japanese restaurant, or sell handmade lingerie, you can benefit from boosting your local search ranking to generate higher sales. In fact, you don’t need to be an expert in Search Engine Optimization (SEO) to improve the performance of your website. You just need to know the fundamental SEO principles and follow them. Let’s review which steps you should take to get your website to the top of the local search results. The first step is to create a free business profile on Google. This profile will appear in the results of the Search and Maps when users search for your business name or places/products “near me”. Once you fill out all the fields, you can verify your profile by phone, email, or postcard. Also, you can choose such verification methods as bulk and instant. To optimize your profile, you should add a short description of your business, relevant photos, 30-second video, business hours, menu (if you are running a restaurant), and other helpful data. User satisfaction affects your search rankings. If you want to get your website to the top of the search results, you should do your best to meet the users’ expectations. “You should produce content, which is unique, interesting to read, informative, and perfect in terms of grammar. And then, visitors will be glad to stay on your website for longer,” states Chelsea Ann Dowdell, a content manager at RewardedEssays. High-quality content can decrease your bounce rate and increase the average time spent on your webpages. These positive changes prove the fact that visitors like your website. For Google, this is a grounded reason to boost your local SEO ranking. SupremeDissertations. Check out this service if you urgently need a unique page description, product review, or blog post. Their professional writers will complete your order within 24 hours. Upwork. This is the world’s biggest freelance platform, where you can find talented content creators. Whether you want to get a 500-word article or informative infographic, you can always negotiate the best price. GrabMyEssay. Check out this service if you need to edit your content and optimize it for local SEO. 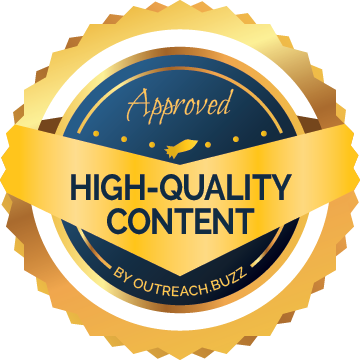 Qualified editors will help you to polish your existing content. Grammarly. You can use this tool to proofread your texts and to detect plagiarism. Utilizing Grammarly on a regular basis, you will be able to maintain a very high level of quality content. Many marketers believe that if a company is popular on Facebook, Tweeter, and Instagram, its website shows up on the first page of Google. For this reason, you should integrate social media into your site. To make your on-site content shareable, you should install social media sharing plugins such as SocialWelfare. It will allow you to add share buttons, which will encourage users to interact with your content. When crafting a strategy, you should decide what type of content you will produce. Keep in mind that short explanatory videos, infographics, and checklists usually work more effectively than text-heavy content. Nevertheless, well-researched articles also have chances to go viral on social media. If you edit your article using HotEssayService and add at least one relevant image, it will boost shareability. Besides, you can highlight a few tweetable quotes to spread your content like wildfire. The number of links. If your website lacks backlinks, you will achieve no results. You should craft a link-building strategy, which will allow you to generate backlinks from local domains. The quality of the links. If you get backlinks from trustful websites, it positively influences local ranking. You should check the quality of your backlinks with the help of tools like MonitorBacklinks. It’s crucial to identify and remove all bad backlinks to avoid possible penalties from Google. Domain diversity. If your website got a lot of high-quality links, but all of them belong to the same domain, it will not help you to improve search ranking as much as if you spread it out on multiple websites. Try to get more links from the different reputable local domains. If your company operates in a few regions, you should localize your content to boost local search ranking. It means that you should not only translate the textual content of your website but also edit visuals and update your Google business profiles for individual locations. For instance, if you own one restaurant in Minneapolis and have just opened the second one in Miami, you should localize content for Miami’s Spanish-speaking population. If you uploaded a menu in English to your Google business account, now you should offer a translated version of the menu in Spanish. All of this in mind, the most crucial task is to identify relevant keywords for local markets. Sometimes, it’s simply impossible to translate some keywords literally. You should conduct keyword research for every separate market to make sure that translation will not change the core message of your content. Competition between the local companies is growing. To keep your small business afloat, you have to optimize your content for both national and local SEO. It will help you to attract more clients from the web and double your profits. Feature Image Credit: CC 0; Public Domain, sourced from flickr.com.